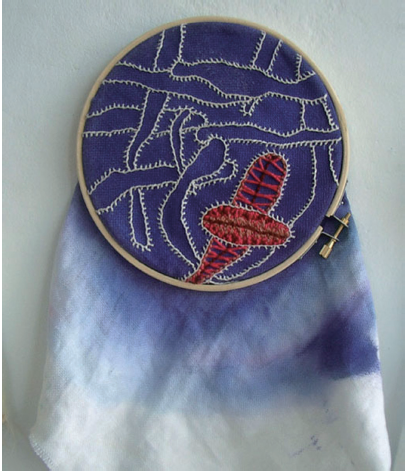 The cover image of our October issue of our journal shows an embroidered image of the Ebola virus. The complex shape of viruses has inspired artist to render these microscopic sized particles (1,2). In a submission to our Art-and-Medicine series in 2013, which includes the cover image of this issue, artist Mia Weiner described her interest in the correlation between working in fibers and the microscopic world (1). She described that by embroidering images of Ebola, the virus becomes an object of beauty, with its destructive nature and danger to the human body hidden. Transapical myectomy for severe mid-ventricular obstructive hypertrophic cardiomyopathy. Ong KC1, Geske JB, Schaff HV, Nishimura RA. Suri, Rakesh M., M.D., D.Phil. Eur Heart J. Transcatheter heart valve failure: a systematic review. Transcatheter heart valve failure: a systematic review. Mylotte D, Andalib A, Thériault-Lauzier P, Dorfmeister M, Girgis M, Alharbi W, Chetrit M, Galatas C, Mamane S, Sebag I, Buithieu J, Bilodeau L, de Varennes B, Lachapelle K, Lange R, Martucci G, Virmani R, Piazza N.